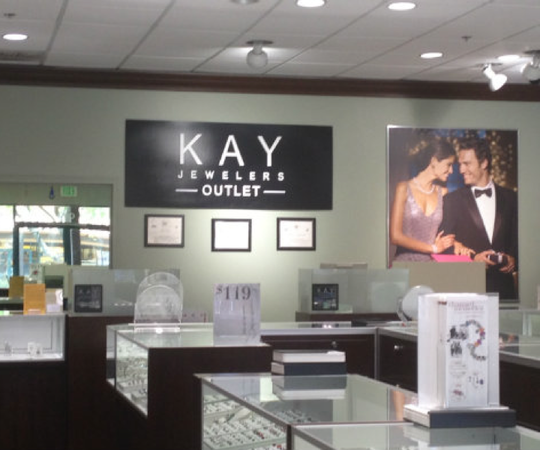 Kay Jewelers Outlet is part of the Kay Jewelers family, #1 specialty jewelry brand in the United States. We know that offering fine jewelry at a great price is only part of the story. We are fully committed to providing a superior shopping experience - both in our stores and online. Our sales staff is empowered with the knowledge to assist each customer. Diamond engagement rings are Kay Jewelers’ specialty. The Leo Diamond, Neil Lane Bridal diamond engagement rings, and Tolkowsky diamond rings top the list as our exclusive designers and top sellers. Come visit your Kay Jewelers Outlet in Orlando today.